So our sprouts took a little longer than we planned to "sprout", but after a week and a half we have a whole plastic bag full of sprouts! Just seperate the kernel from the sprout and place the sprout on your sandwhich or salad and enjoy. 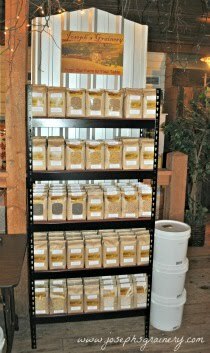 To purchase wheat for sprouting visit our online store.